SEARCH ENGINES: Note that I have an earlier post where I have organized and commented upon a selection of the better search engines. I have now included Spific and Yahoo Glue I describe below. Gmail tricks: Now this might be useful. If you have a gmail account, and your address is, e.g., abdefg@gmail.com, it turns out that you can add periods anywhere in your name, and the email will still get to you. (a.bcdefg@gmail.com or ab.cdefg@gmail.com or etc.) You can also use the plus sign after your name and add any text you want as well, and it will still get to you. (abcdefg+anything@gmail.com) Use this trick to help organize mail you send to yourself or when you subscribe to sites. Read more about about this trick and how to use it HERE. Top Tools for 2009 from Jane's: Jane Hart always has interesting stuff, and here is her list of promising tools for 2009. I can confirm that I like Cooliris and Sliderocket. I'll have to check out some of the others. Also check out her review of 2008, part 1 and part 2. Logos Related Stuff: Logos has been promoting a free Kutless MP3 download (the song is decent enough to be worth taking up space on your harddrive) as a way to generate publicity for and interest in their Bible Study Magazine. Check it out. Also worth visiting is their ThePastor'sLibrary.com which I found out about in one of their emailings. It is indeed directed to pastors to help them work with their congregations in developing a library. 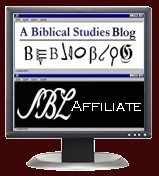 It is, as is to be expected, a promotional tool for Logos software, but there are some interesting findings in its Survey, some helps for pastors in working with their congregations in Budgeting Resources, comments on Library Development, the value of Bible Software, and some Recommendations including links to some good Resources. ESV Study Bible for OliveTree BibleReader: It is now available and if you hurry (by 2009.01.04), there is a 15% discount.